SRINAGAR: The age-old myth that the Kalaroos caves in Kupwara are leading to Rous, Russia, has finally been exploded. These caves, located around Satbaran – seven doors, do not move beyond 50 meters. In fact, one of the caves that could have led to somewhere has been choked because it was blasted by the army thus choking the passage. The myth brokers had flown specially from Virginia in the USA and they spent their time sight-seeing and the eventually the exploration of the caves, thus helping Kashmir understand its past better. They, however, have insisted the caves may not carry any archaeological worth but do have a lot of geological importance and must be investigated further. 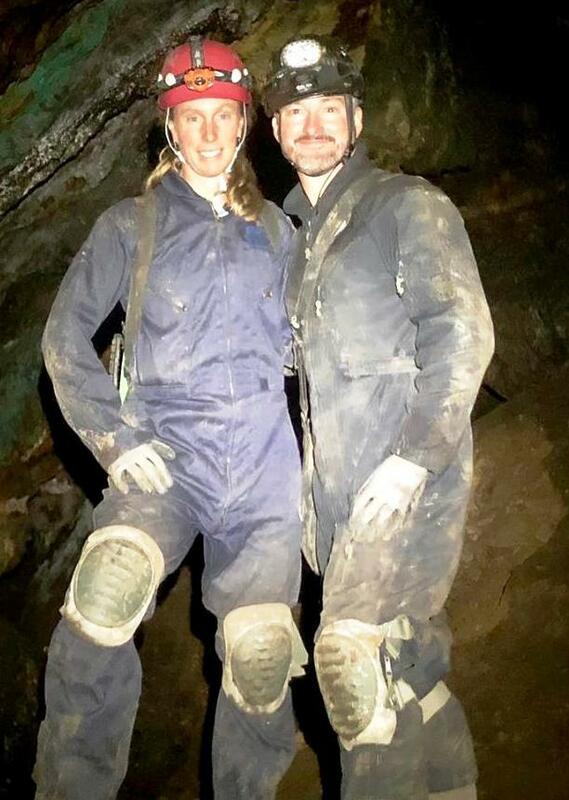 It was the Virginia based couple Amber and Eric Fies who led the exploration. They live in Purcellville (Virginia). Apart from Elite Power Stables, a stud farm, the Fies own and run North Star Adventure Consulting, LLC. 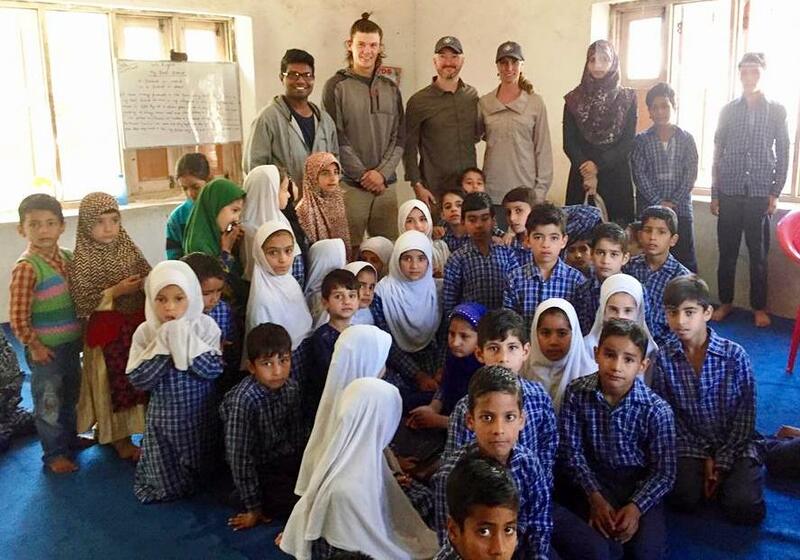 They were accompanied by Dustin Kisner, their Ohio based Expedition Caving Adviser and an Indian expedition interpreter Vamsi Ramakrishna, a Kerala engineer who works with a software company, InfoCepts. Their support team comprising Tyson and Letha Anderson came from Maryland. Eric Fies is a Fellow-Royal of the Geographical Society and has retired as Sergeant Major in the US army. The team landed Srinagar on September 20, and after getting support from the local population and the tourism department, they drove to Kalaroos on September 22. After a preliminary visit to the terrain, they eventually got into the caves on September 23. 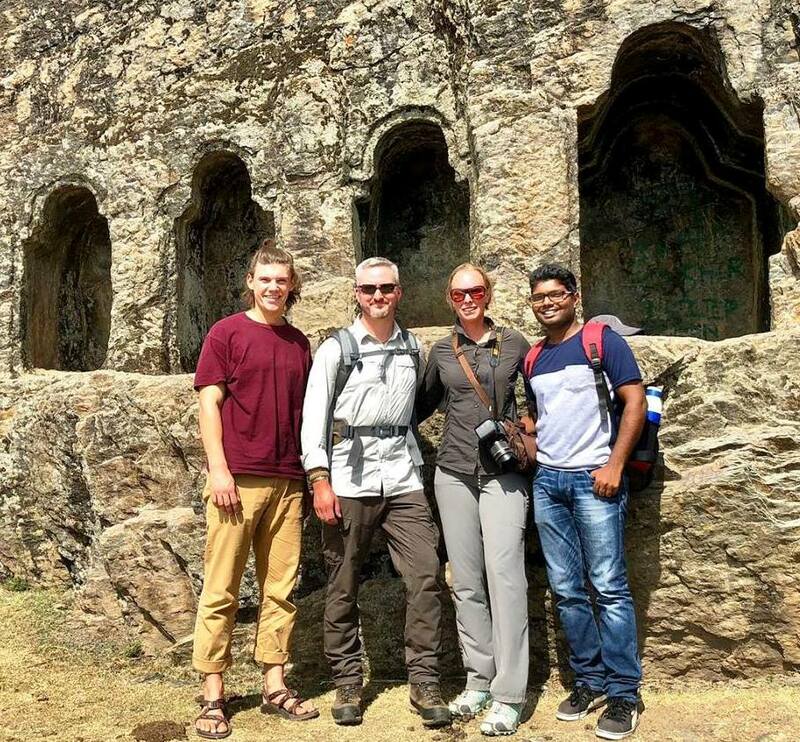 Before and after getting into the caves, they spent days in Srinagar, exploring the natural beauty, meeting people and understanding Kashmir. After they explored the caves, they gave a presentation about their findings to the local school students also. Cave-1 is the first cave reached beyond Satbaran Rock at 1,980 meters (6,496 feet) elevation. The first 50 meters are a narrow up-trending passage that is pinched down in some areas. This leads to a 15-meter shaft that opens to a small room. From here there is a 10-meter shaft which opens to another room. Beyond that is a 5-meter up-trending passage that leads to a narrow horizontal passage terminating within 15 meters. We explored all leads off of the main passage and near the main entrance which all quickly terminated. Cave-2 is located higher up on the mountainside at 2,020 meters (6,627 feet) elevation. It has the largest entrance of the three caves. The main passage is down-trending and terminates in 50 meters. It looks to have been filled in from a landslide or years of erosion. Local elders did not know if/when this cave was ever open. Relative to the other caves, Cave-3 sits at the highest elevation on the mountain, 2,260 meters (7,415 feet). There is a 40-meter down-trending passage that leads to a pinched horizontal passage which terminates in 20 meters. All leads off of the main passage were explored and all quickly terminated. The Indian Army attempted to explosively seal this cave, as corroborated by local people and evidenced by blast scarring near the cave entrance. This action was allegedly due to the presence of bears and/or militants. The year in which this happened is unclear. No signs of bears or recent human passage were present; however, the cave is currently being occupied by at least one mating pair of a Himalayan porcupine. 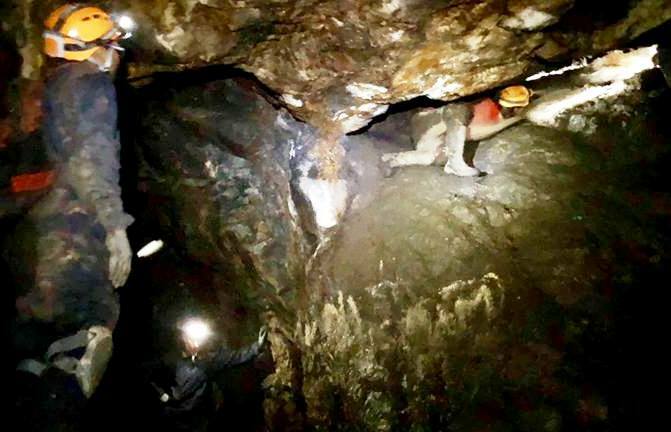 Apart from recording the precise locations of the caves using a calibrated global positioning system (GPS), the team said that “all three main caves, secondary entrances and leads were explored until termination points were reached”. They noted the possibility of “Cave-1 and Cave-2 could have been connected at one time, as Cave-1 is upward-trending and Cave-2 is downward trending, both on similar azimuths and elevations”. The explorers said that they cannot determine if the Cave-3 was like prior to the reported explosive demolition by the Indian Army. “The team trekked along the ridgeline and thoroughly explored the terrain at each contour in search of other openings, but none were located,” the report says, insisting, “There are insufficient significant findings to support launching another expedition to map the caves”. The team’s exploration of the caves has helped Kashmir understand the cave system that has been quite an enigma for generations. People had woven strange stories about the cave systems. Locals have said that sometime back there was an effort to get into the caves but the mission failed. Even some daring locals had attempted it once, the local legend suggests.